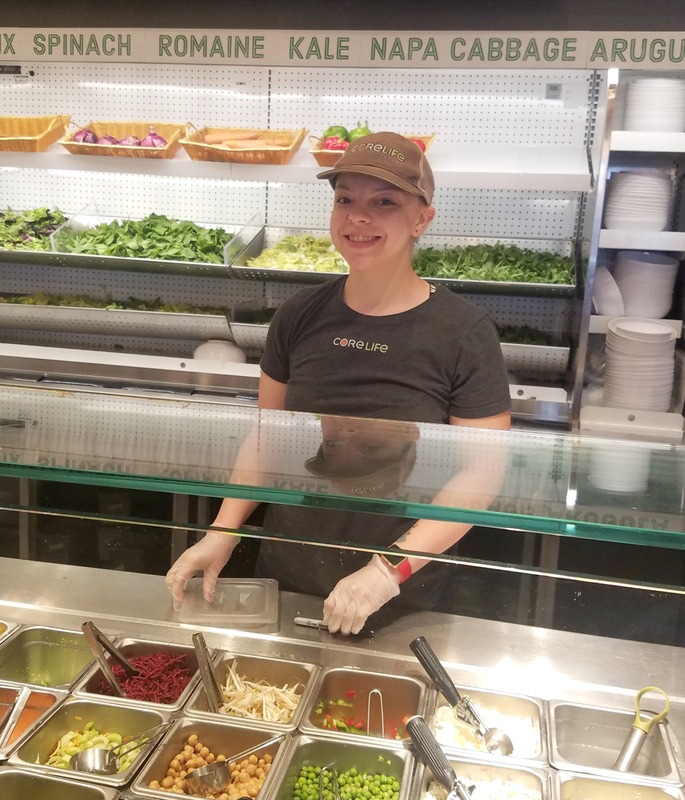 Meet 24-year-old Angalee Porter of Cleveland, Ohio, a shift supervisor at CoreLife Eatery in Strongsville! Angalee really loves how healthy the food is at CoreLife Eatery. One of her favorite moments was when she learned how to make the dressings from scratch using real, fresh ingredients! She describes her team as energetic, focused and hardworking and loves that the food we serve ensures that customers are eating healthy and keeping up with an active lifestyle. Angalee enjoys watching sports and taking her six-year-old son on nature walks. Working at CoreLife Eatery was a new experience for Angalee, which has her, and her son, eating healthier! Her favorite CoreLife Eatery bowl is the Southwest Grilled Chicken and Wild Rice Blend grain bowl! Say hello to Angalee when you see her at CoreLife Eatery in Strongsville!